Just a short walk up Campbell’s Close from Craigwell Cottage brings you to the Canongate section of Edinburgh’s Royal Mile. Turn right (uphill) and you’ll find the ancient place of worship, Canongate Kirk, opened in 1691. The twin cherry trees planted at either side of the entrance to the church are in flower in April and early May each year, making it a particularly beautiful time to visit. 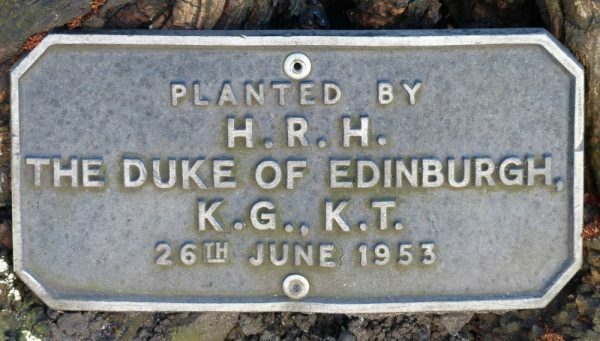 There are commemorative plaques by the cherry trees, showing that they were planted by HM Queen Elizabeth on 25 June 1952 and HRH the Duke of Edinburgh on 26 June 1953. The Canongate Kirk is the parish church for the surrounding area, which includes Edinburgh Castle, the Palace of Holyroodhouse and the Scottish Parliament. 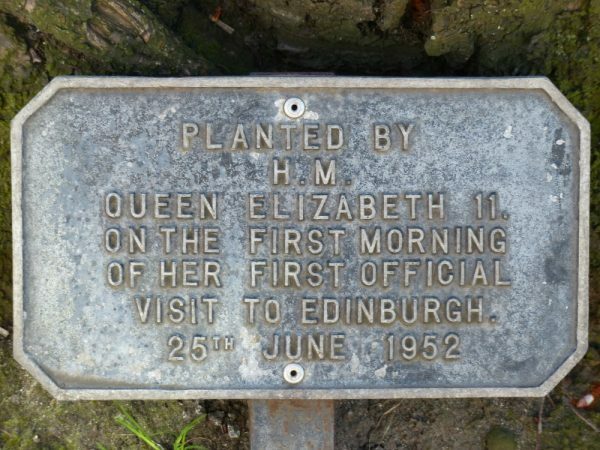 HM Queen Elizabeth attends Canongate Kirk from time to time when she is in residence at The Palace of Holyroodhouse. 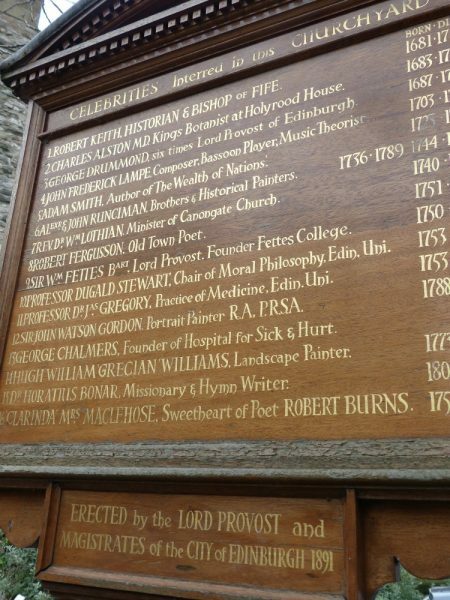 There is a small churchyard surrounding the Kirk, where you’ll find the graves of many famous citizens of Edinburgh, and there’s an information board giving details of celebrities interred in the area. These include economist Adam Smith, poet Robert Fergusson and Mrs Agnes MacLehose (Robert Burns’ “Clarinda”). Clarinda inspired the Burns song “Ae Fond Kiss“. You’ll also find the old Mercat Cross (Market Cross) of the Canongate. As well as being open to attend church services, Canongate Kirk is often open at other times for tours given by the Friends of Canongate Kirkyard. There are often concerts in the building, and during August Edinburgh Festival Fringe events are also hosted here. 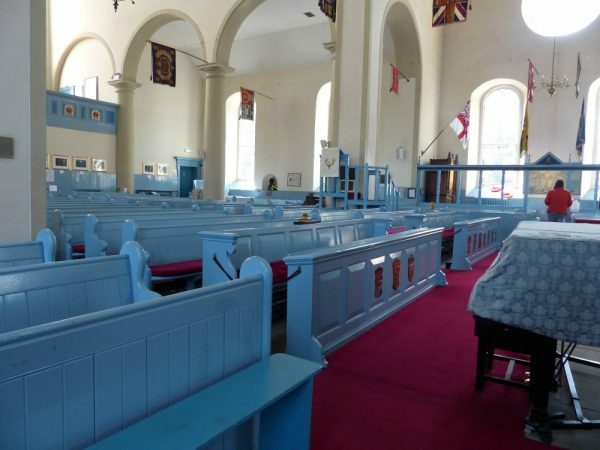 The interior is well worth a visit to discover more about the history of the Kirk as well as the displays of military colours and honours as the Canongate Kirk is the Regimental Kirk of The Royal Regiment of Scotland. To prepare for your visit, you can find Canongate Kirk on Twitter and Canongate Kirk on Facebook and check times on the website. Sunday services include a family service at 10am and Parish Worship at 11.15am. So if you’re following all the locations of the books, rather than just those used in the TV adaptation, stop off at Canongate Kirk and imagine the scene as Claire perches on a marble gravestone, trying to keep warm, while Jamie and Colum have their discussion. 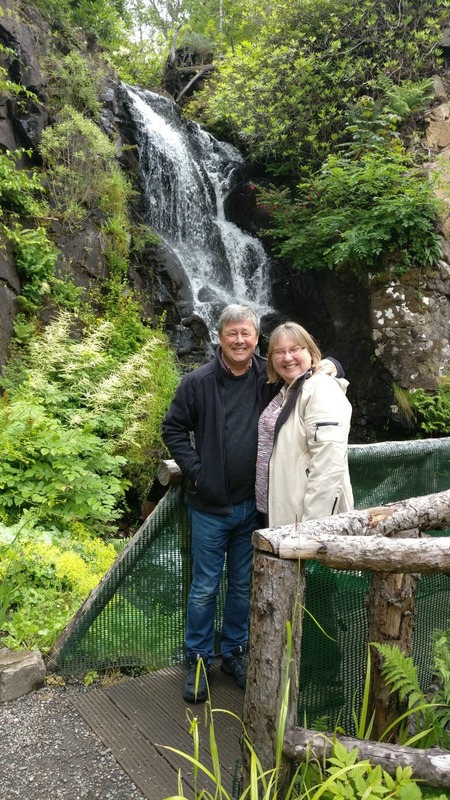 We’ve put together a whole series of articles about Outlander Exploring around Edinburgh which will help you find the locations you want to visit. 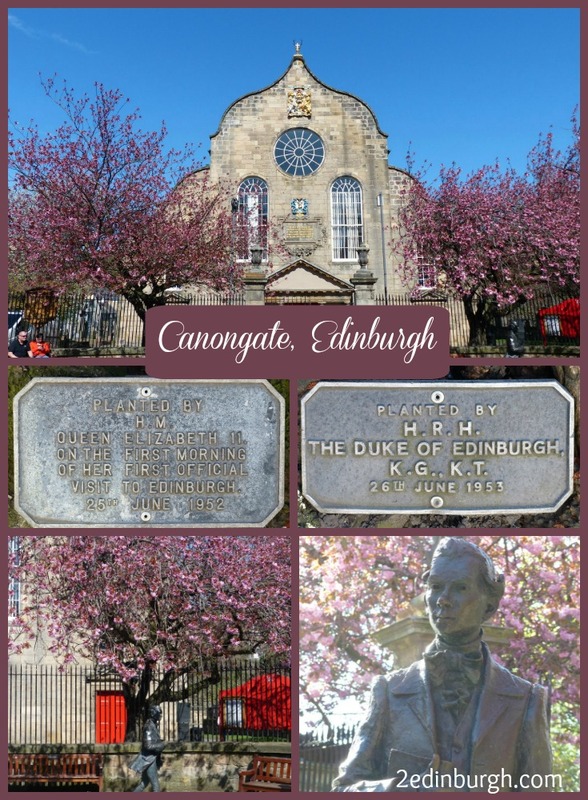 As a Parish Church for the surrounding area of central Edinburgh, many people will find records of their ancestors registered in the Canongate Parish. Indeed, in researching the Urquhart side of our family tree (Susan’s family), there is an extensive record of Urquharts registered in the parish, as well as recorded in the Census records for the local area. 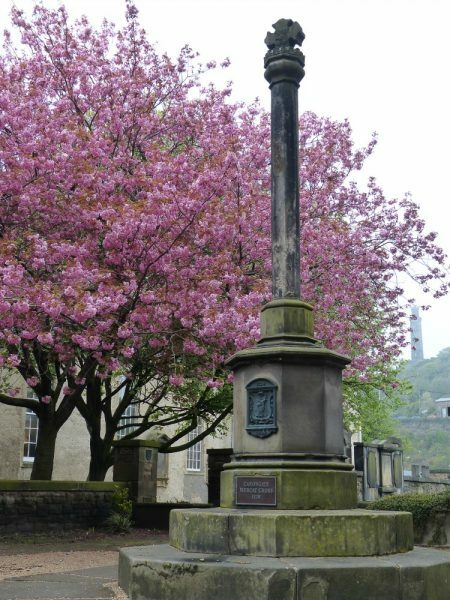 Opposite the Kirk, you will find the Museum of Edinburgh which is also worth a visit to find out more about the history of the area and about how the local residents lived and worked. 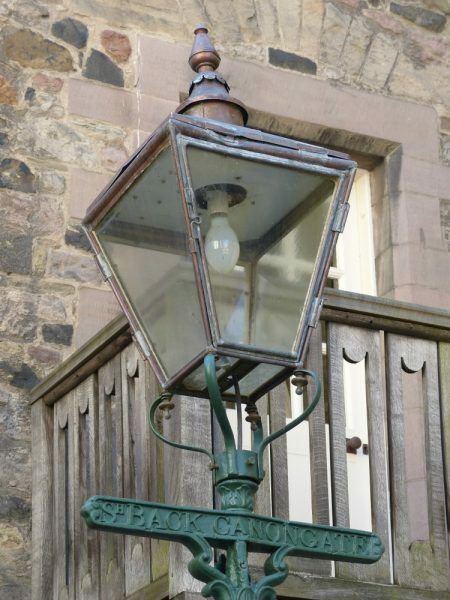 The lamp standard pictured here (situated at the Museum of Edinburgh) bears the street name “Sh Back Canongate” or South Back of Canongate, which was the former name of Holyrood Road. In the 1861 Census there was a family living at 62 South Back of Canongate which included George Urchart (Urquhart) aged 39, his wife Alison and their 7 children: George, Henry, William, Jessie, James, Euphemia and Charles. George was working as a Carter while their son George (16) was a carter to a cowfeeder, with Henry (14) and William (12) being cowfeeder’s boys. George and Alison were married on 17 November 1843 in the Canongate parish. Their employer at the time was Messrs White of 269 Canongate, and Alison’s father George Rehren was also working as a Carter in South Back of Canongate. In 1863 they had a son David Turner Robertson Urquhart (born 10 July 1863 at their home at 62 South Back of Canongate). He is my great-grandfather as his son William Urquhart was my grandfather. The family connection to the area continues through William’s wife, Helen, my grandmother, who worked at the Headquarters of the Scottish and Newcastle Brewery which was situated on the land which is now occupied by the Scottish Parliament. She lived nearby, just off Holyrood Road. 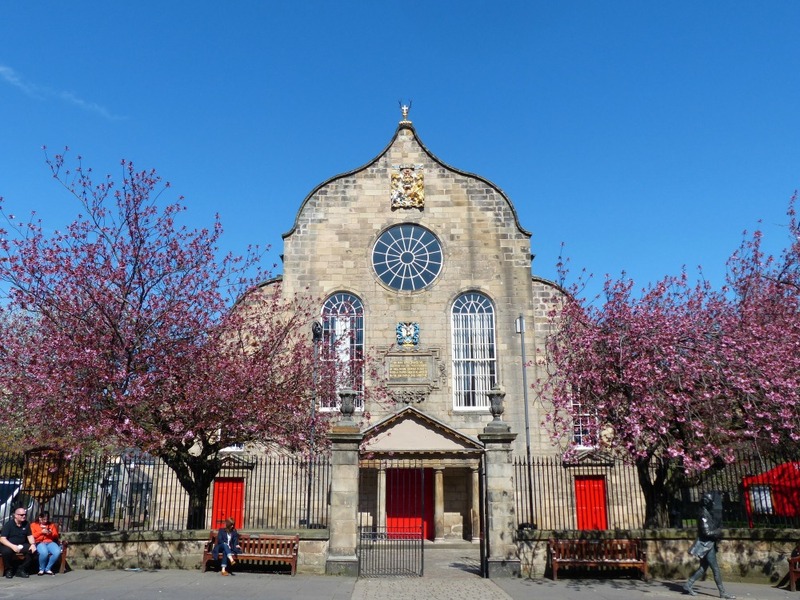 If you find links to the Canongate Parish in your family tree, you’ll find a visit to Canongate Kirk a must on your ancestral tour of Scotland. 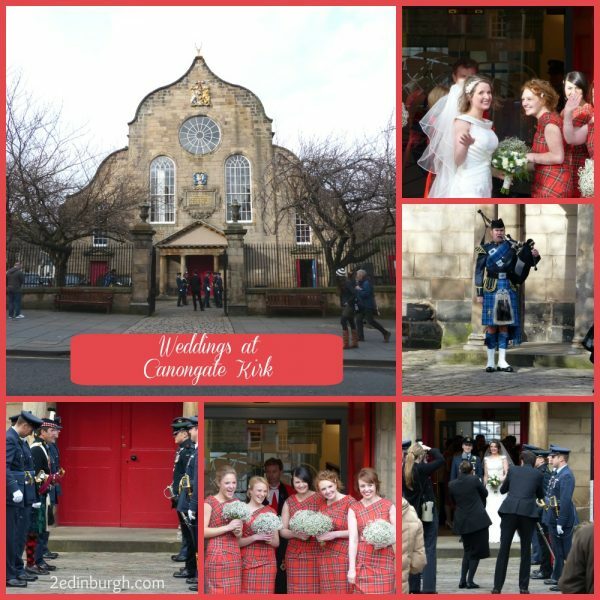 And of course, weddings are still held at the Canongate Kirk to this day. Craigwell Cottage is situated just off Calton Road, which runs parallel to the Canongate section of Edinburgh’s Royal Mile.